...The shortest railroad in the US, but we're just as wide as all the rest. Well…Before trains, a farmer’s customers were limited. They sold their crops within a five or ten-mile radius, or put them on a riverboat and prayed that they would make it to market safely. The train brought new life to small towns. The History Train at The Double T represents the new possibilities not only for farmers but small towns and immigrants alike. Join us on a virtual reality tour and explore what the railroad did for our small communities. Climb aboard our Historical Train for an evening of fun and a chance to see how the steam locomotive changed agricultural history in the San Joaquin Valley. Your evening will begin with a cocktail hour and a tour of one of California's premier Agricultural Museums. At the sound of the train whistle, we'll begin boarding for the two-hour virtual reality experience that includes a twenty-minute documentary. The History Train will leave you with a deep appreciation of what travel was like 100 years ago. Your evening will conclude with a walk through the "Baggage Car", filled with rail history memorabilia, antiques, and collectibles. 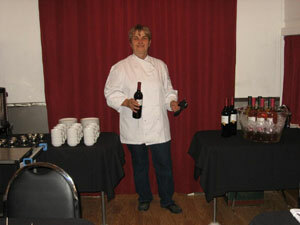 Prices are $70.00 per person and includes all beverages,dinner and dessert. Advanced reservations and payment are required. Space is limited so book early. The History Train is partially wheelchair accessible. Please let us know your needs when booking your reservations. Train schedules are subject to change. 6:00 pm – Social Hour. Sip on wine and beer, stroll in the garden, tour the museum or just relax as you wait for The History Train to depart. 6:45 pm – Begin boarding the train. 7:00 pm Sharp! – The History Train departs the station.